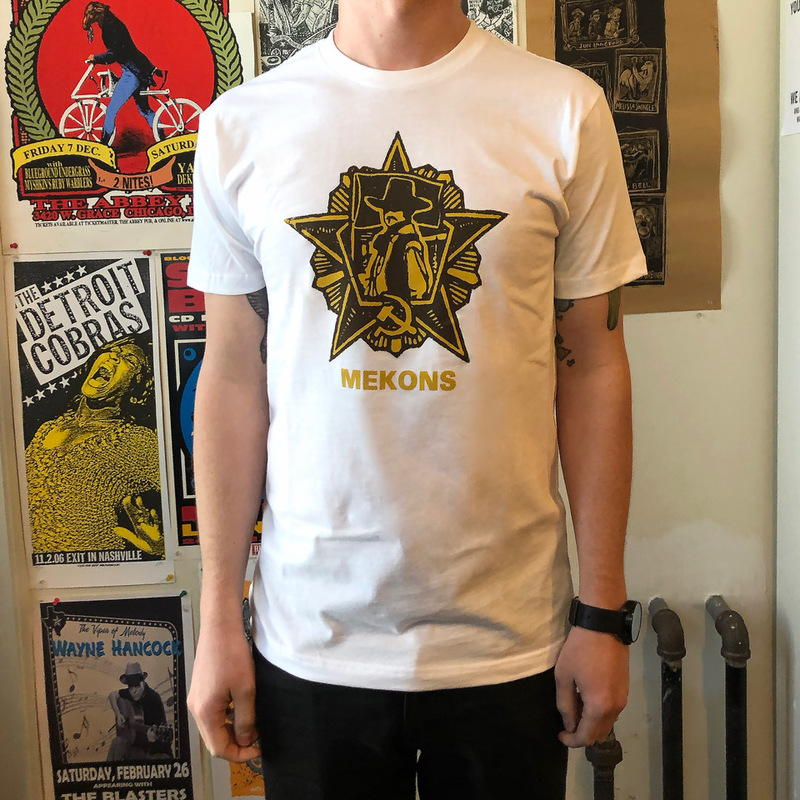 Check out our Mekons Mania sale! 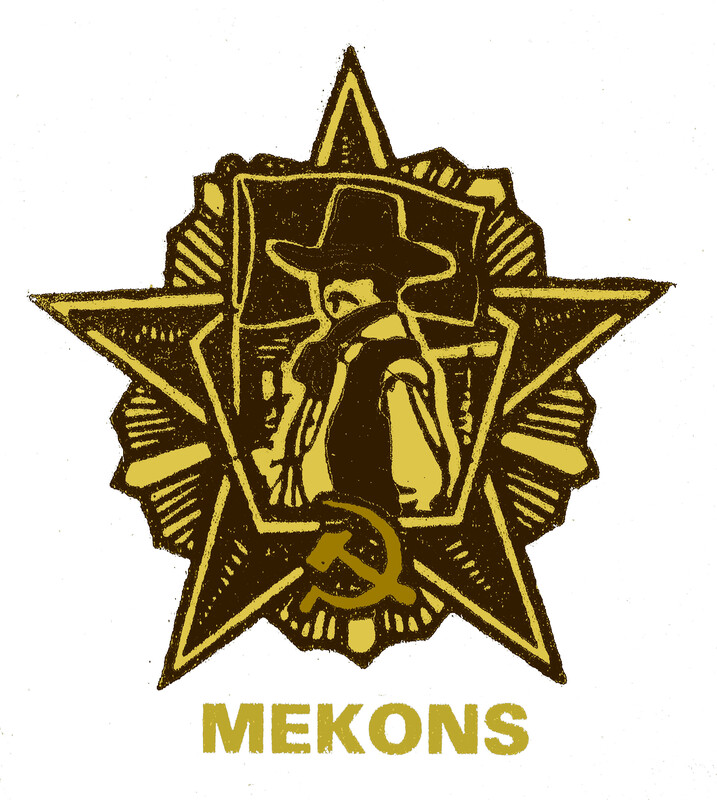 20% off Mekons Music and related fare. The Mekons are back with their new album Deserted! Commemorate the occasion with the rebellious desert cowboy sheriff badge from the disc art on a comfy yet audacious t-shirt. Perfect for rabble-rousing in the streets, or kicking back in your burgundy leather guest chair with a pint of the dark stuff and a fist in the air.